Published: January 28th 2014 by Harlequin Teen. Sort: Heirs of Chrior #1. I’m not sure what is going on, but most of the books I’ve been reading lately are ‘meh’. I was in need of a book to blow me away and I was hoping to find it in The queen’s choice. Unfortunately, it wasn’t what I was looking for. This book ended up being a slow-paced story where almost nothing happens. I never had the feeling I was sucked into the story and I was always looking for more. I think we've all seen these things before. People are being plagiarized, authors are behaving badly, nasty comments, I think there is quite a list with negative situations. The thing is, aren’t we supposed to be one big, happy family? We have one of the best thing in life in common: our love for the written word. Whether we are readers who appreciate books or authors who create these wonderful stories, we have the same passion. Please, let us remember the important things! Inspired by classic fairy tales, but with a dark and sinister twist, Grim contains short stories from some of the best voices in young adult literature today: Ellen Hopkins, Amanda Hocking, Julie Kagawa, Claudia Gray, Rachel Hawkins, Kimberly Derting, Myra McEntire, Malinda Lo, Sarah Rees-Brennan, Jackson Pearce, Christine Johnson, Jeri Smith Ready, Shaun David Hutchinson, Saundra Mitchell, Sonia Gensler, Tessa Gratton & Jon Skrovan. I have mixed feelings about this anthology. I’m not a huge fan of them, but I couldn’t pass this one when I saw it was inspired by classic fairy tales. The dark and sinister twist made it sound even better, but I was let down by many stories and by most of them I'm still looking for that promise. I found them boring and uninteresting instead of dark/twisted. I'm nervous and thought about not posting it.. I might take it offline after a while, but for now.. 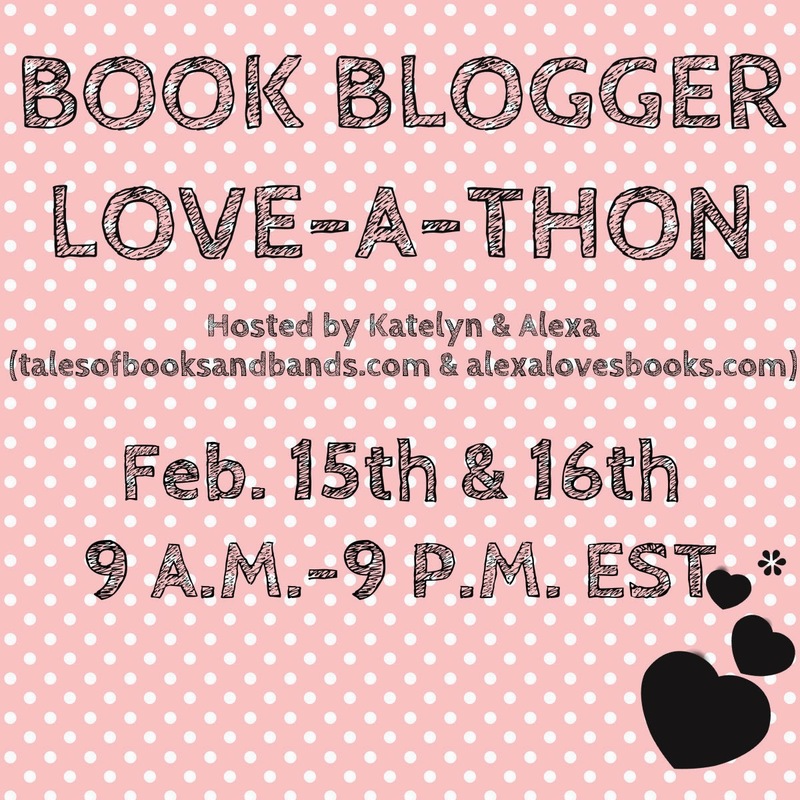 This is one of the things I love about the love-a-thon: spreading some bookish loves. I’ve tried to include as many of my favourite blogs as possible, but if you aren’t mentioned: you’re still awesome! I didn’t participate in the other two challenges, but this was too much fun to pass! What do you think about my story and the boys I picked as bookish boyfriends? One day, I was swimming with Chaol. Out of the blue, a pirate ship came out of nowhere! It was so majestic, impressive and blue. At first, we were afraid, we were petrified, but we laughed. We hopped on a flying motorcycle to make our getaway. As we escaped, we turned up the radio because Let it go came on and made me sing out loud. Everything was extremely smooth sailing until a lady bug appeared in the middle of the road. We swerved to avoid it, but while Chaol stayed on the flying motorcycle, I got thrown onto my side in the woods. I couldn't get up, and felt dazed as I lay there staring up at the trees. What was I going to do? I heard a crashing sound among the leaves, and felt confused. Surely, this was going to be my end. As my eyes fluttered shut, the last thing I saw was a head of red hair and blue eyes. When I woke up again, I was on a bookshelf. My body hurt a whole lot less, and I could sit up. There was another pirate ship and Christmas tree in the room, along with a chocolate bar and slushpuppie. The door suddenly opened to reveal Sturmhond, a concerned look on his face. I blushed and averted my gaze, but he break-danced and said, "Don't be shy. It's okay." He came over to sit by me, and we started talking after I told him my name. We chatted about TV shows, Disney and reading and realized we had a ton in common! I thought he was stunning and couldn't help feeling a little swoony. Just as he reached out for my hand, the door crashed open and in came Duval. "Don't let him charm you away, my love!" He yelled, running at Sturmhond. They each had tablespoons in their hands and began to fight. "Stop! ", I yelled, feeling so excited They didn't listen to me. Before I could intervene, Sturmhond fell to the floor and disappeared in a cloud of smoke. "What was that?" I asked, staring at the empty space. Duval dropped his weapon, and came over to me. "Magic, but you are safe now, little wolf." He hugged me close, and I suddenly knew that this was the real deal and not just a dream. Just as All of me started playing in my head, I woke up. I cursed my damned luck. Why had it only been just a dream? This event is hosted by Katelyn & Alexa. This is the 3rd time. If you haven’t heard of it before, it’s in short a way for authors & bloggers to share love! You can find new blogs or just give some extra love to your favourite blogs. It’s actually a day for bloggers and authors to come together to share fun! There are some mini challenges, twitter chats and giveaways. The first thing we all do is sharing our interview. I’ve been busy with the start of my minor, so I decided to go for the pre-made questions this year. YA: fantasy, fairytales & retellings, Paranormal, Dystopian. Adult: fantasy. A cold, small country called The Netherlands. I've always loved to read and write. I started out on Goodreads where I found out about the blogging world. I decided I wanted to combine two of the things I liked, so I created this blog. Watching TV shows and movies, swimming, Disney, hanging out with friends/family/boyfriend, travelling, drawing and I spend a lot of my time on my laptop. So, I can have several books.. Let me think. Harry Potter and the Order of the Phoenix, because that is my favorite book from the HP series. The book thief, because that's one of my favorite books ever. A bundle of Grimms fairytales and Tiger Lily for all the feelings. I'm thinking about Allie from The immortal rules. She is a new-made vampire who sticks to her humanity. I think it's handy to have someone who doesn't die easily. She is brave, strong and intelligent. We could work things out. For guys, I think I would like Chaol from Throne of glass. I think he's able to keep his head cool, so I can freak out. I don't have a ME song, actually. Recently I'm in love with 'All of me - John Legend' because I think it has some perfect lines. 'All your perfect imperfections' that's how I like to look at things. And 'Let it go' from the movie Frozen, because I need to remind myself to do that every now and then. 10. What 3 movies would you love to have your favorite author write into books, or vice versa?Books to movies: Cinder, Throne of glass, Shadow and bone. Are you participating? Leave a link to your interview! Published: January 7th 2014 by Strange Chemistry. Seventeen-year-old Riven is as tough as they come. Coming from a world ravaged by a devastating android war, she has to be. There’s no room for softness, no room for emotion, no room for mistakes. A Legion General, she is the right hand of the young Prince of Neospes, a parallel universe to Earth. In Neospes, she has everything: rank, responsibility and respect. But when Prince Cale sends her away to find his long-lost brother, Caden, who has been spirited back to modern day Earth, Riven finds herself in uncharted territory. Will Riven be able to find the strength to defy her very nature? Or will she become the monstrous soldier she was designed to be? If you read the blurb, you've practically read everything that was interesting about this book, so I made it shorter. The only reason I finished it was because it’s an eARC and I was far enough to feel like ending it. I don’t recommend trying to do the same. I was bored and annoyed at the same time. I know I'm a bit late, but it happened because I don’t have a schedule and I had to post my Blogoversary celebration posts. So, I’m just going to post it today. Do you listen to the same songs? I bet there is a song you often play on repeat? Now, imagine that those songs are exactly the same as books. I know that songs take less time to listen to, but you enjoy them right? You already know the lines and how the song is going to end, you are familiar with the melody, but is that boring to you? Do you regret listening to them over and over again, knowing that there are thousands – millions of other songs you can listen? Because that is how I feel about re-reading books I love. I don't care that I already know how it's going to end. Returning to worlds and characters I love is comforting. Is enjoying something a waste of time? I think it's sometimes good to let go of the fact that you always need to read the newest books. I don't want my blogging influence how I read, so I like to let go of the need to stay up to date every time. 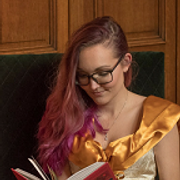 This book failed to impress me. Whether it were my high expectations, the hype surrounding it or just this story, I had a hard time reading it. It’s a shame that I wasn’t able to connect with the characters, because I still think it’s an unique setting and promise. I like the story that is created, but the plot could have used some interesting twists.